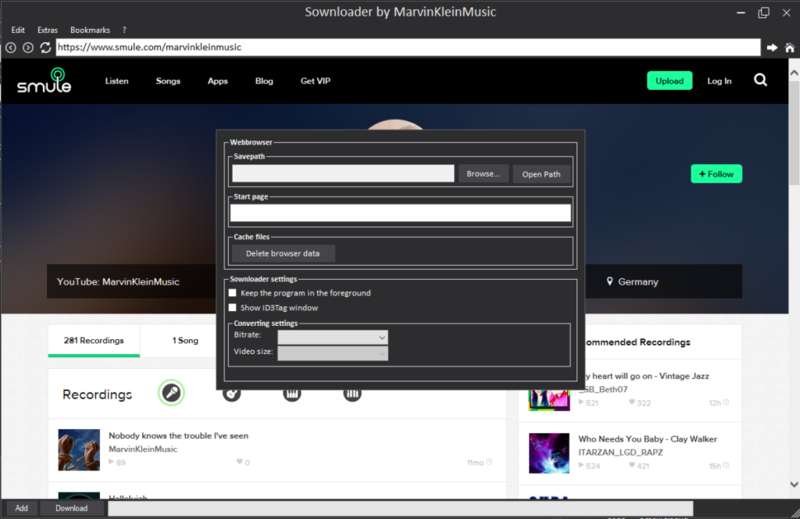 In this post I’d like to give you a small sneak peak of the upcoming Sownloader 8 release. The original Sownloader was released on 13th October 14 and it has changed many times in functionality in the past but not really in design – except for some small graphic and icon updates. Since the first release I have been using just the default components of Microsoft’s Visual Studio to create the entire software. Luckily I started my apprenticeship just one month ago. Since then I have learnt many new things about the usage and customization of these controls in Visual Studio. I decided to deepen what I’ve learnt so far, so I started working on a code revision of Sownloader and a personal customized theme for it. All versions of Sownloader, except the Web version, are coded in VB.NET. I am working on a revision of the code in Visual C# because it grants the user more speed in performance , and because the syntax of C# is much easier to understand. Take a look at the first screenshot of this development with the new dark theme for Sownloader. Moreover I’m working on a new update for the official Sownloader website and this blog. More information about this is coming soon! I can’t wait to show you more!